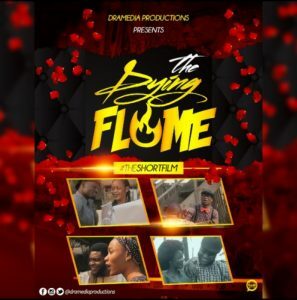 Dramedia Productions presents “The Dying Flame” #TheShortFilm, a movie to heal the broken hearted as well as make them feel loved during this season of love and beyond. Director of Photography: Irok Montage. Gabriella was maltreated by Olakunle, meanwhile Johnson is madly in love with her but he’s such an introvert. Gabriella couldn’t notice the love Johnson has for her because all she’s got is Olakunle. To know what happens to the Love birds. This movie is really educating. Kudos!